Smiles by Design is committed to providing excellence in dentistry, and stands out as a leading dentist in Hewlett. The doctor uses the latest in dentistry techniques to provide you with a beautiful and healthy smile. Additionally, we believe strongly in education to prevent oral health problems before they occur, and make sure to keep patients fully informed about their dental health. Read more about our dentists below. 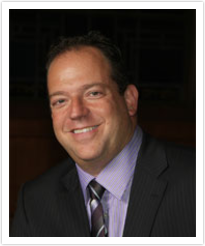 Dr. Ron Kaminer is a 1990 graduate of the State University of NY at Buffalo School of Dental Medicine. After completing a two year post graduate residency at North Shore University Hospital, Dr. Kaminer started practicing in Lawrence, where he practiced for over 12 years before moving to his state-of-the-art Hewlett location. He also maintains a second practice in Oceanside. Having always prided himself on being ahead of the curve and state-of-the-art care, Dr. Kaminer was one of the first 100 dentists in the U.S in 1993 to use a hard tissue laser in his practice. Since then, Dr. Kaminer went on to create training courses for numerous Dental laser companies and is considered to be an international laser expert by his peers. He has lectured nationally and internationally on a variety of topics relating to Dental Lasers, technology and minimally invasive Dentistry. He is a clinical consultant for many manufacturers and is an associate editor for the Dental Product Shopper magazine. He does all this while practicing an average of 42 hours per week. Dr Kaminer prides himself in giving his patients the best of state-of-the-art care Dentistry has to offer. He has also a few Hollywood credits to his name as the sound from the movie "Novocaine" was shot in his office. He has also appeared on the Lifetime channel as a Dental expert and has been featured in MSN Money and the Orlando Sentinel. He is a member of the American Dental Association, Academy of General Dentistry, and numerous other Dental organizations. He also lives locally, with his wife and three children and serves on the board of numerous charitable organizations.